An artist's impression of what the new Northumberland County Hall may look like. A call-in of the decision to relocate the county council’s HQ was rejected this morning, while the chief executive said there had been a lot of misleading information over this issue. The call-in, which asked the cabinet to look again at its decision to build a new headquarters in Ashington to replace County Hall in Morpeth, made without a full council debate, was discussed at this morning’s meeting of Northumberland County Council’s economic growth and corporate services scrutiny committee. The existing County Hall in Morpeth. He explained that it had been made on the grounds of proportionality, due and appropriate consultation and the taking of professional advice from officers, respect for human rights, a presumption in favour of openness and clarity of aims and desired outcomes. “This council has a duty to be open and to invite debate,” he said. “We don’t want to bring this council into disrepute. Committee member, Coun Andrew Tebbutt, a Lib Dem, also raised a number of issues that he had with the decision, on which a full council debate was initially promised. “Suddenly it was decided that a decision had been made months previously and that’s appalling,” he said. “This committee made a decision based on false pretences. “At the full council meeting on the budget in February, we were assured that by voting for the budget, we were not presuming this decision on the move to Ashington, that council would get a separate vote on that. The council’s chief executive Steve Mason said that he did not believe the call-in was justified and responded to a number of the issues raised. 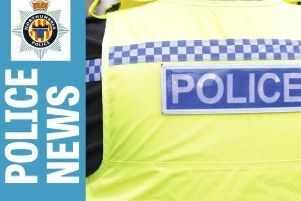 “Obviously we used external advice and input when constructing the report and we would say that we, as officers, have given professional and appropriate advice,” he said. He referred to the publicity and stories in the press on this issue and said there had been a lot of misleading information, often in relation to the difference between capital and revenue expenditure. He later added that the publicity around the move meant that it would be difficult to argue that there was no openness and transparency and pointed out that it will be debated as part of the budget in February next year. Coun Glen Sanderson, a Tory member of the committee, said: “There’s a great degree of uncertainty and confusion as to why this decision is being made. The committee voted by six to two to reject the call-in after it was clarified with the legal officer that the members had to decide if the original decision by cabinet had been made in the right way, not reopen the debate on the reasons behind that decision.